Roger Olson asks How serious a heresy is universalism? 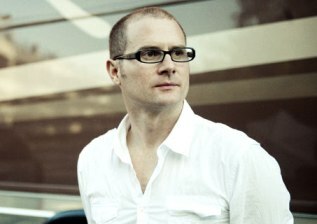 Universalism, the belief that everyone will be saved, has been a popular topic of Christian discussion since Rob Bell was wrongly accused of it. Olson makes it clear that he considers universalism to be a heresy. But he concludes that there are different versions of universalism and some are more seriously in error than others. I’m not a universalist. On the other hand, I’d rather be a universalist than a true Calvinist (i.e., a five point Calvinist who believes in double predestination). Someone once asked me whether I would still worship God if somehow I became convinced the Calvinist view of God is correct. I had to say no. Sheer power is not worthy of worship. Only power controlled by love is worthy of worship. If somehow I became convinced that universalism is correct, would I still worship God. Yes, but…. I would have to wonder how a God of love can enjoy love from creatures that is not given freely. Of course, someone might argue that, in the end, every creature will freely offer love to God and be saved (e.g., Moltmann). I would just call that optimism. There’s no way to believe that true other than a leap of optimistic hope. Indeed. Universalism born from optimistic hope may be unrealistic but it is not a serious heresy. Believing in a God who condemns most people to everlasting torment without offering to them the grace they would need to be saved is a serious heresy because it turns the God of love into a monster. Like Olson, I could never worship a God like that. But read the rest of Olson’s post before condemning him. The inner logic of Calvinist attacks on "Love Wins"
Roger E. Olson, as one of his “evangelical Arminian theological musings”, explains Why I defend Rob Bell’s Love Wins (and other controversial books). In doing so he offers some fascinating observations about Calvinist attacks on Arminianism and other perceived theological errors. He refers to “American evangelical Calvinisms’ DNA”, but much of what he says applies equally to some strands of British Calvinism, such as that of Adrian Warnock. they are human-centered, belittling the glory of God, neglecting God’s justice and wrath in favor of too much emphasis on God’s love, etc., etc. At this point I would add that there is a similar character to much Calvinist and “Reformed” polemic against those seen as rejecting penal substitutionary atonement, like Steve Chalke, with the same arguments being made that the rejected position is human-centred and neglects God’s justice and wrath. God wants all people to be saved and to come to a knowledge of the truth. The deep, inner logic of the attacks on Love Wins seems to me of this variety. The ones I have read and heard ALL arise out of Reformed assumptions about God rather than out of Arminian assumptions about God. And there’s the main difference. Not all Arminians will agree with everything Bell says, but the general thrust of his theology in Love Wins is classically Arminian–that God permits free creatures to resist his love out of love and therefore love wins even as God seems to lose something. Because of the risk his love forces him to take, and human resistance to it, God ends up not getting all that God wants. ON THE OTHER HAND, of course, God DOES GET WHAT GOD WANTS–this world in which his love can be resisted. It’s dialectical but not contradictory. I would like to suggest to both sides that what is really going on in this whole controversy over Bell’s Love Wins is another round of the old Calvinist versus Arminian debate. That’s what it looks like to me as well. I believe it’s best to only discuss books you’ve actually read. As I haven’t read Love Wins , I will not discuss it here. Thanks for the video link to Phil Ritchie, who is now Team Rector of the parish whose electoral roll I have been on for more than 30 years, and is based at the church building where I was married in 2009. Indeed. Wright accepts, as I do but Bell seems not to, that ultimately some people do reject God, and so God rejects them. That means that hell, whatever it is, is not completely empty. It doesn’t mean that we know who is going there, or how many they will be. But Bell’s main point is one which Wright and I would agree with, that God’s love is more powerful than his wrath. Wherever the church paints a different picture from that, of God as “a horrible ogre”, then the good news, the gospel of Christ, is seriously distorted if not lost completely. I just discovered the rather occasional blog Thinking in Reality, by the anonymous male Iam4Jesus. The first link I followed was to a new post Are Atheists Right About Bible Prophecy? I don’t have anything to say just at the moment about Harold Camping’s prediction of the Rapture this Saturday, beyond my general scepticism about the Rapture. But I was attracted by the title of one of the other posts at Thinking in Reality, Are there immortal worms in hell? Will a Loving God Punish People Forever in Hell? Romans 6:23 where it says, the wages of sin is death. It does not say – the wages of sin is eternal suffering…. I think, the problem is not that the Bible teaches this “damnable doctrine” but that men have misunderstood what the Bible actually says. Indeed, and some women have also misunderstood it. The popular concept of hell is a mixture of small bits of Bible truth combined with pagan ideas and human imagination. … One of the reasons this concept of hell survived is because theologians believed the teaching deterred people from evil. With the understanding that Gehenna is what it is (an acursed trash pile), we can begin to ascertain that He means simply the fire will burn until the bodies of the wicked are consumed. … the wicked will be destroyed. They will not live for eternity in another place or state of everlasting anguish. They will reap their destruction in the lake of fire at the end of the age. They will be consumed virtually instantaneously by the heat of the fire and will never live again. Those resurrected in this group have never completely understood the truth of God’s plan for Grace and Mercy that He has designed and instituted from before the beginning of time. Once we realize that the majority of all people who have ever lived have never heard God’s truth, this resurrection offers some clarity and hope to these. Rather than such people being condemned to eternal suffering, the truth of the Bible is much more comforting and encouraging. I believe that God will extend the opportunity for eternal life to everyone, possibly relatively few in this age but to billions of people in the coming second resurrection. Now I am by no means sure that Iam4Jesus is correct on every point in his discussion. But he seems to have put forward strong arguments for two points, that hell consists of annihilation rather than eternal torment, and that there will be a second chance after death at least for those who have not clearly heard the gospel in this life. Despite the protestations of the Reformed camp, the Bible does not unambiguously teach the “damnable doctrine” rejected by Darwin. Iam4Jesus does not say what Rob Bell seems to, that “Love Wins ” to the extent that all will be saved. But he does say that God will give a fair chance to all to accept his salvation, and that the alternative is not horrific eternal torment but quick destruction by fire. I think I agree. Phil Whittall has posted an interesting review of “The Great Divorce” by C.S. Lewis, which leads into a comparison of Lewis’ view of hell with Rob Bell’s. 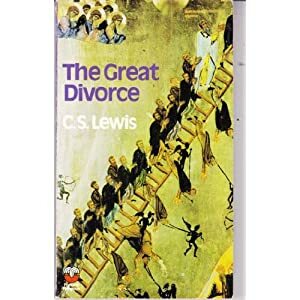 I read The Great Divorce many years ago, and it is certainly a good read whatever one thinks of its theology. I have still not read Bell’s Love Wins , although I have read a lot about it. It is interesting to see the hoops that some try to jump through to defend Lewis while condemning Bell. For example, Tim Keller, as quoted by Whittall, seems to accept that Bell teaches the same as Lewis, but suggests that Lewis was right to do so because he was going against the spirit of the age but Bell is wrong because he agrees with the spirit of the age. Leaving aside the question of whether this dubious assessment is correct, does Keller really mean to claim that whether a teaching is right or wrong depends on the spirit of the age, not on whether it agrees with biblical truth? Whittall’s conclusions are interesting. They are basically that Bell and Lewis are teaching the same thing, that there will be chances after death for those in hell to repent and go to heaven. The main difference between the two is that Bell expects that most, or perhaps all, will take these chances, whereas Lewis expected very few to do so. I am not at all sure about this teaching about another chance to repent. I don’t see any biblical warrant for it. But I don’t see it clearly ruled out in the Bible either, so I am open to being convinced. But I think my expectation would be more like Lewis’ than Bell’s, at least concerning those who had heard the gospel in this life. As for those who never heard it, they are not Lewis’ focus, and I haven’t read what, if anything, Bell has to say about how they might be saved. Does Adrian Warnock take the Bible literally? I had intended to drop the issue of Adrian Warnock versus Rob Bell. But Adrian’s latest post Is Rob Bell a neo-liberal who does not take the Bible literally? goes into a lot more detail about why he refuses to accept Bell as an evangelical. As such it reads a bit like a response to my post Rob Bell, Adrian Warnock and limits of evangelicalism, although it does not mention what I wrote. It is really interesting to see what Adrian considers to disqualify someone from being an evangelical. One of them seems to be speaking to ordinary people and observing the world, and then allowing that to inform one’s theology. Another is to ask questions. Of course Jesus based much of his teaching on what he observed in the world and from ordinary people, and asked lots of questions. Is Rob Bell wrong to follow the same methods? he no longer takes the Bible literally whenever it is possible to do so. 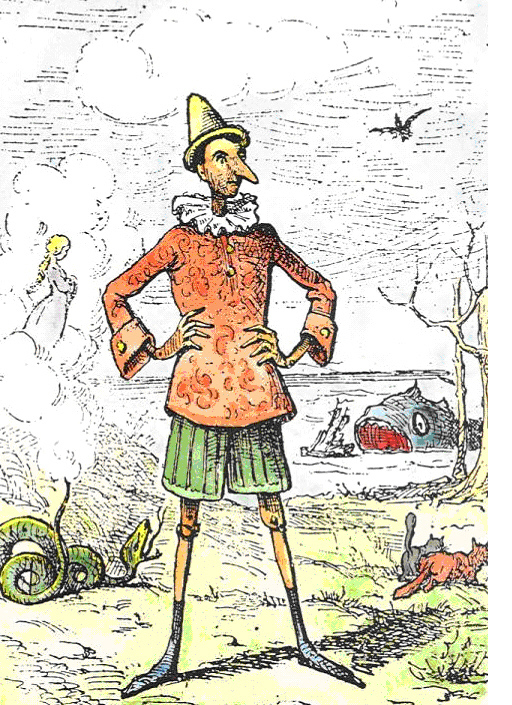 the Pinocchio approach to Scripture: the more you misrepresent it, the longer your nose and so the greater your love! Well, I am not seriously accusing anyone of that. But I do claim, as explained in those posts, that anyone who does not believe that God has a long nose, literally, does not take literally the whole Bible in its original language texts. This is the clear teaching of Exodus 34:6 in the Hebrew, and it is possible to take it literally, at least as a description of the body of Jesus, God become flesh. Does anyone do so? Not as far as I know. Not even Adrian himself takes the Bible literally. That means that on his definition there are probably no evangelicals at all, and we should all be described with Rob Bell as “neo-liberals”. Another example: the biblical word for “hell” as place of punishment is literally Gehenna, the name of a specific and literal valley outside the walls of Jerusalem. As it is quite possible to take this literally, why don’t “Reformed” evangelicals teach that their place of “eternal conscious punishment” is physically located in that valley? So, the real issue between different evangelicals is which parts of the Bible they take literally. But where does one draw the line? And what exactly does it mean to take the Bible literally? Surely it is better to accept the current standard definitions of evangelicalism, such as the British Evangelical Alliance Basis of Faith and the American Statement of Faith of the National Association of Evangelicals. In these the Bible is described as inspired by God, as authoritative for believers, and in some cases as infallible or inerrant. But these statements do not prescribe that it must always be taken literally, no doubt because the good evangelical scholars who prepared them recognise that this is impossible. Before I completely leave behind the debate between Rob Bell and Adrian Warnock, I want to share some thoughts on what this issue can tell us about the limits of evangelicalism. because [Bell] has a very different approach to the Bible, it is hard to accept him as an Evangelical. AW: To my mind, even in our interview today, you seem to have cast doubt on a very literal interpretation of certain Bible passages, and to me, that causes me problems in recognising you as an evangelical. RB: … The book is my attempt to be true to the Scriptures and … to give this story its proper due, and to highlight perhaps things that are sitting right there in the text that people haven’t heard. So the idea that somehow I’m dismissing the Scriptures, then why do I spend so much time trying to get out what they really say? AW: I never said you were dismissing them. I said you had a different approach to them. But is Bell’s approach to the Scriptures really so different from the standard evangelical one? Or is the issue more with the conclusions that he comes to from it? A major problem with the whole evangelical enterprise is that the Bible cannot be interpreted for life today without bringing to the text a whole range of presuppositions. Traditional “Reformed” evangelicals bring one set of presuppositions. Adrian brings a slightly different set. I bring yet another set. And then Rob Bell brings his own presuppositions. As evangelicals each of us interprets the Bible using more or less the same principles, but each comes to a different set of answers. The difference between those answers is not because some of us are rejecting the authority of the Bible, nor even for the most part with our approach in interpreting it, but because of our different presuppositions. Now the “Reformed” camp may want to limit evangelicalism to certain sets of acceptable presuppositions and conclusions, perhaps only the ones Adrian describes as “a very literal interpretation”. Thereby they would exclude Rob Bell, and perhaps myself. Some of them might even exclude Adrian, for example because he accepts the charismatic gifts. But if the definition of an evangelical is someone who accepts the Bible as the inspired word of God, then it certainly includes those like Rob Bell who come to non-standard conclusions from those Scriptures. I am very glad that at least here in England evangelicalism is quite broad, broad enough to include people like Rob Bell, and myself, who do not always follow the traditions of interpreting the Bible. After all, one of the essential characteristics of evangelicalism is that it puts the Scriptures above human traditions, which include traditional methods of interpretation and traditional conclusions. Therefore I resent the attempts of some, such as Adrian, to exclude from the evangelical camp those who do not follow the tradition which he reveres. The camp can and should be broad enough to include Bell and myself as well as Adrian and his heroes. Ive always liked David Wilkerson but could his speaking against Benny Hinn have something to do with his violent death? God said touch not my anointed! King David understood this truth and would not touch Saul even though he was trying to kill him! However, there is an important point here. I don’t know exactly what David Wilkerson said about Benny Hinn. And I don’t think God would have struck him dead for it whatever it was – that isn’t how God works. Anyway, the breach between the two cannot have been too serious, for Hinn released a tribute to Wilkerson quickly after his death. But it is indeed a wrong and dangerous thing to speak against those whom God has anointed for ministry. At least in some Pentecostal and charismatic Christian circles this wrongness and danger is often expressed in the sentence “Touch not the Lord’s anointed”. do my prophets no harm. The poetic parallel suggests that “my anointed ones” here refers to prophets. The LORD forbid that I should do such a thing to my master, the LORD’s anointed, or lay my hand on him; for he is the anointed of the LORD. Here the anointed one, singular, is the king of Israel, Saul. But by this time he was a disobedient and apostate king whom God has rejected (1 Samuel 15:11,26). The Holy Spirit had left him and he was under the influence of evil spirits (16:14). And David had been anointed king in his place (16:12-13). Nevertheless that same David continued to respect Saul as the Lord’s anointed. He fled from him for his own safety (19:10), but refused to take any action against him. Contrast what happened to the person who dared to finish off the dying Saul: David showed no hesitation in killing him (2 Samuel 1:14-16). What applicability does this have to Christians today? Who is, or are, the Lord’s anointed who should not be touched? Commenter here Andrew Price pointed out correctly that the role of the Old Testament kings was fulfilled in Jesus, whose title “Christ” or “Messiah” means “Anointed One”. The same could be said of the role of the Old Testament anointed prophets. However, the New Testament teaches that every Christian believer, everyone in Christ, has an anointing from the Holy Spirit (1 John 2:20), is a potential prophet (1 Corinthians 14:31), and is even now reigning with Christ (Revelation 20:4 and Ephesians 2:6, as I explained these verses in a previous post). So, I would argue, every true Christian is the Lord’s anointed, and so, according to David’s principle, others should not lay their hands on them. This doesn’t just mean not kill them: David would not even say anything negative about Saul. The Bible warns us against slander, gossip (2 Corinthians 12:20) and backbiting (Galatians 5:15), and this is the same principle in practical application. Now there is a place for Christians to discern false teaching. If they do discern it, they should avoid listening to it. It might sometimes be appropriate to confront the false teacher personally, or to make a report to someone in authority over them. But, according to the principle which David set out, it is wrong to criticise them publicly – even if, like Saul, they have turned completely away from God’s path. If, on the other hand, they are truly ministering in the power of the Holy Spirit, to speak against their ministry is to risk the unforgiveable blasphemy against that Holy Spirit. Thus, I would agree with Mark that it is wrong to make negative public statements about Benny Hinn and his ministry. It is equally wrong to make such statements about David Wilkerson or Todd Bentley, as Mark was quick to do, or about Rob Bell, as Adrian Warnock among others has done, or indeed about anyone who professes to be a Christian teacher. Each of these people is the Lord’s anointed. They would remain so even if they were to turn away from God to the extent that the Holy Spirit departed from them and they were under the control of evil spirits, as happened to Saul. I am not suggesting that this has happened in any of these cases. But if someone believes that this has happened to any teacher or preacher, the right response is that of David: distancing himself from the danger, and silence – and decisive action against those who do touch the Lord’s anointed. On the other hand, David’s example shows that it is also wrong for Christians to invoke “Touch not the Lord’s anointed” to stop others criticising them. David could have claimed his own rights as the Lord’s anointed, and denounced Saul and others for “touching” him. But he never did so. While believers should not criticise their leaders, it is wrong for leaders to put themselves above criticism. Man has a very powerful will—so powerful that even God Himself does not break it. And by this [God] is actually showing that man is in the likeness of God. Without man’s will he could not make any progress on the way to goodness. So out of all the gifts that God grants the human being, we believe that freedom is one of the most important. Agreed – assuming that “man” here is to be understood in a gender generic sense. I cannot accept the Calvinist position that men and women cannot resist the grace of God, because if God forced them to accept it he would be taking away their humanity and their image of God. The problem is that the human will is so often opposed to the will of God. That, fundamentally, is why there is so much evil and suffering in the world. Don’t blame God, blame men and women who ignore his instructions and warnings. And that is why in the end I disagree with what Rob Bell is supposed to have said, that hell will be empty. It won’t be because that is where some people will choose to go. Even if they were to have an eternity of chances to repent, many would not take them, as C.S. Lewis memorably put forward in The Great Divorce . It is not that God is a “vicious tormenter” who wants to send people to hell, but that he allows people to go to hell if that is what they want.